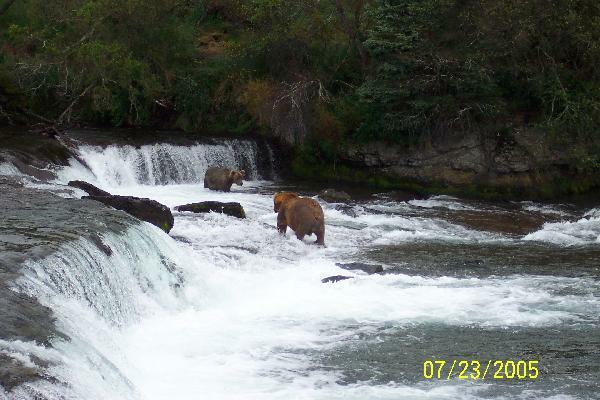 Here is a photo sent to me from Pat & Chuck of Brooks Falls, Katmai National Park, Alaska. (Yes, those are two bears and not bolders in the water!) You may click on the image to see a larger version.